In early 2017, Clover Stornetta was planning on re-launching the brand as Clover Sonoma to emphasize its local ties to the community. The brand was also expanding out of the Bay Area and into Southern California. And, as a leader in premium dairy, Clover would transition many of its products to be non-GMO by the end of 2017, in order to align with its consumers’ values. An integrated brand campaign was vital to re-launching the brand as Clover Sonoma. This campaign aimed to ease existing consumers into the new brand look & feel, as well as drive awareness and grow market share in Southern California. 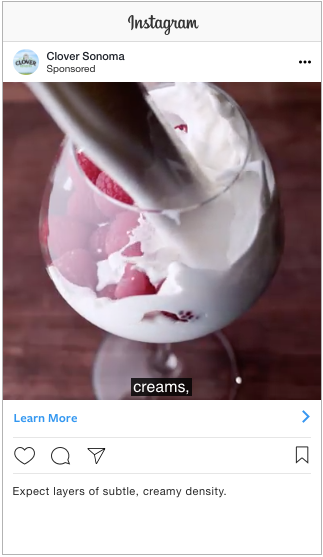 The re-branding campaign focused on highlighting the similarities between winemaking and dairy farming. 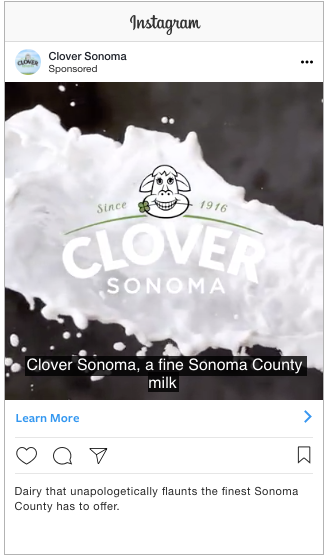 To help bring this to life, we developed a partnership with Great Big Story to create a branded video featuring the world’s first Milk Sommelier, Bas de Groot, coming out to Sonoma County to visit a Clover dairy farm. Along with the branded video, we also ran supporting media, including digital, social, radio and OOH. In just one month, the campaign delivered 26 million impressions across digital and social. 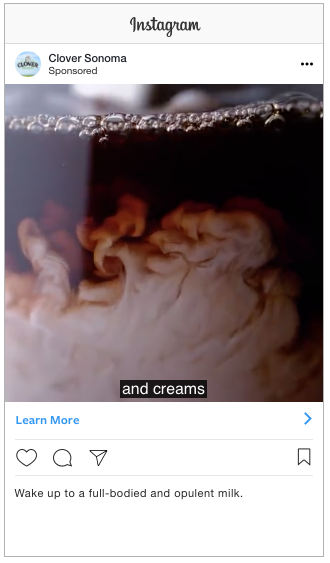 Co-created content with Great Big Story was viewed 316,000 times. Video completion rates on were 134% higher than benchmarks. Ultimately, the campaign lifted ad recall with users who were 73% more likely to recall seeing a Clover ad.